The Democratic Republic of Congo has received a credit of $83.11 million from Exim Bank of India. The funding is for the construction of three solar power plants with a combined capacity of 35 MW in the north and centre of the country. India confirms its commitment alongside the Democratic Republic of Congo to reduce the energy deficit, which is a guarantee of growth and economic development. On March 20, 2019 in New Delhi, Exim Bank of India granted a loan of $83.11 million to the Congolese government for the construction of three solar power plants. The infrastructure with a combined capacity of 35 MW will be located in the north in the locality of Karawa, in Mbandaka in the northwest and in Lusambo in the centre of the country. “With the signing of these three new credit lines worth $83.11 million, Exim Bank now has 10 credit lines for the government of the Democratic Republic of Congo for a cumulative value of $578 million,” said David Rasquinha, Managing Director of Exim Bank of India. The energy inputs from these facilities will enable the Democratic Republic of Congo of more than 65 million inhabitants to increase its electricity supply because, despite an installed capacity of 2,500 MW and a potential estimated at 100,000 MW, the DR Congo actually has only 1,000 MW of electricity for an electrification rate of only 14%. At the Solar Energy Forum, held from October 31 to November 2, 2018 in India, the DR Congo renewed its commitment to the International Solar Alliance (ISA), of which it has been a member since September 2018. Rosette Mossi, Ambassador of the Democratic Republic of Congo to the Republic of India, said on that occasion that solar energy remains one of the solutions to overcome the energy deficit in her country. The Ambassador believes that this lack can be made up for by increased investment in the solar energy sector, which can reduce poverty and reduce greenhouse gas emissions. “It is by lighting our villages that we create jobs for young people. It is a paradox that the DRC is among the sunniest countries in the world and that more than 50% of its population has no access to electricity,” she said. It is in this context that the $110 million in financing provided to DR Congo in 2018 by the African Development Bank’s (AfDB) Green Climate Fund came into play. 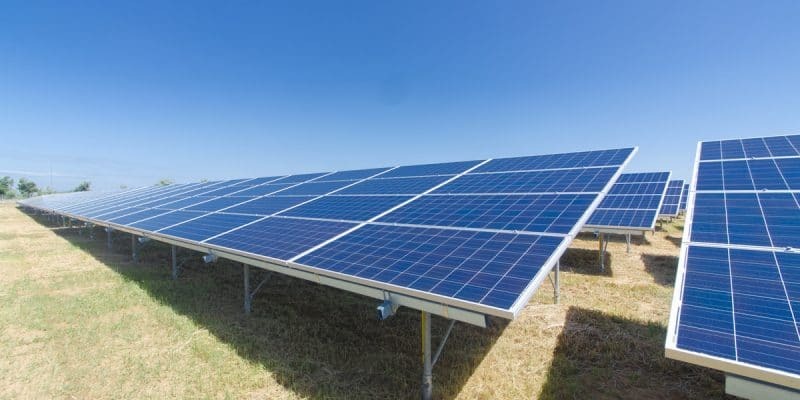 The AfDB loan will finance three solar installations and a pilot battery storage project, the rest being financed from the project promoters’ own funds. A grant will also finance additional technical assistance to ensure that the mini-green networks are extended throughout the country, beyond the pilot phase. These projects will ensure access to clean, reliable and more affordable energy for about 150,000 people living off grid. A reduction in CO2 emissions of around 560,000 tons is expected at the end of the 20-year life of the project.